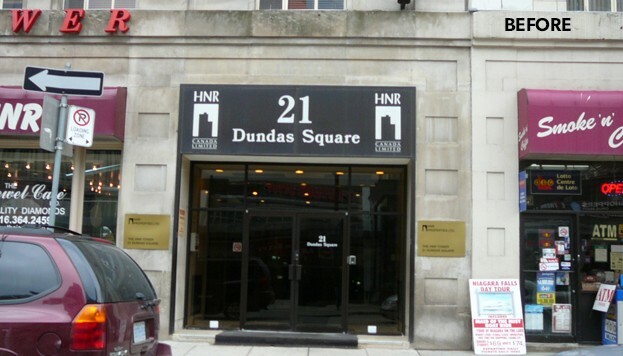 Known as the Hermant Building at 19-21 Dundas Square is located in the heart of Toronto and now features a beautiful façade with bronze doors. 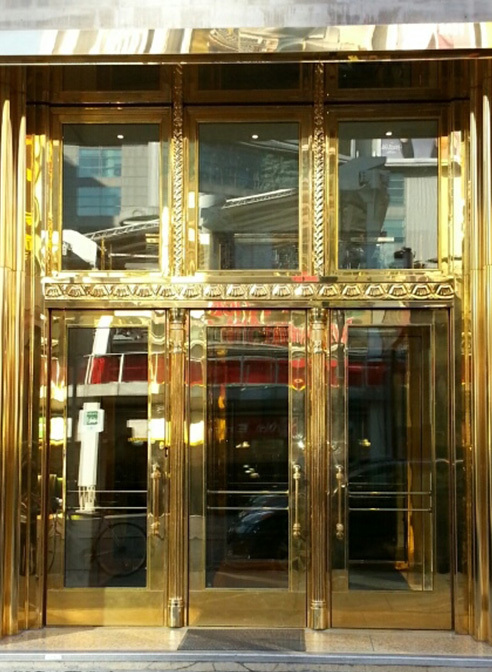 The original metal bronze clad doors that were installed around 1935 were removed in a later renovation of this historic building and replaced with standard aluminium frame glass doors. 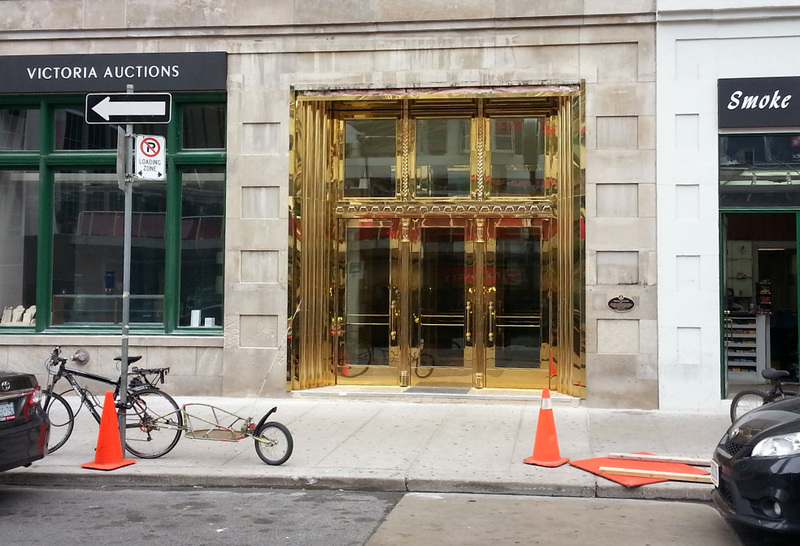 In order to return the former beauty of entrance, Heather & Little was contracted to recreate these bronze clad doors. 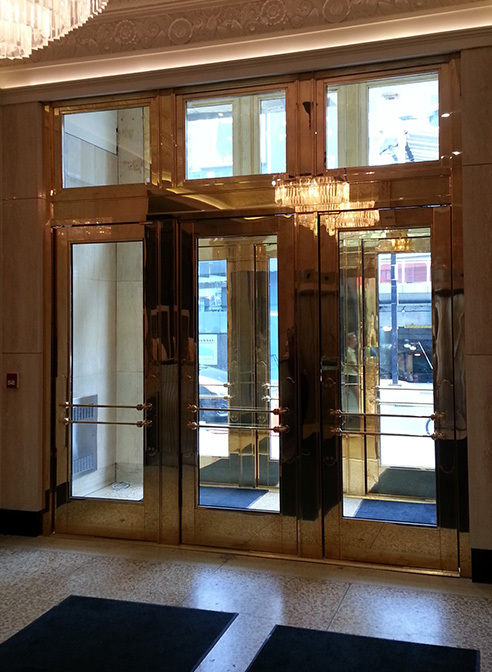 Joining forces with Rush Industries the doors and transoms for the entryway were produced, as well as two other sets of bronze doors found in the vestibule and lobby of the building. 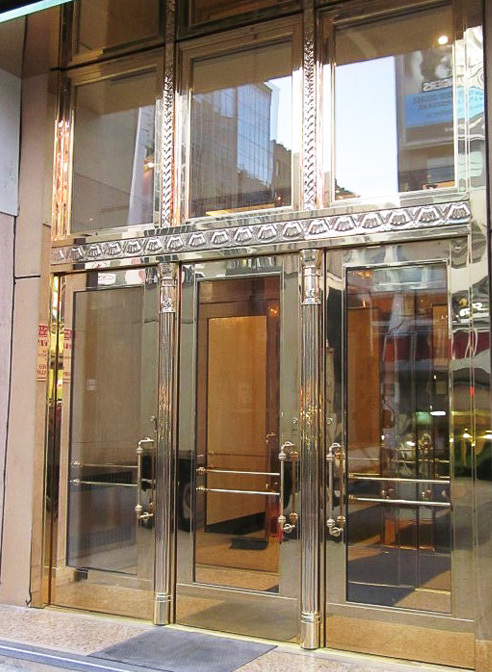 Heather & Little took on the challenge to reproduce these eight bronze kalamein doors and transoms using an architectural bronze material called Muntz metal. This was a challenging project as the only reference we had to the original bronze doors was a vague, one sheet historical drawing with very little detail. 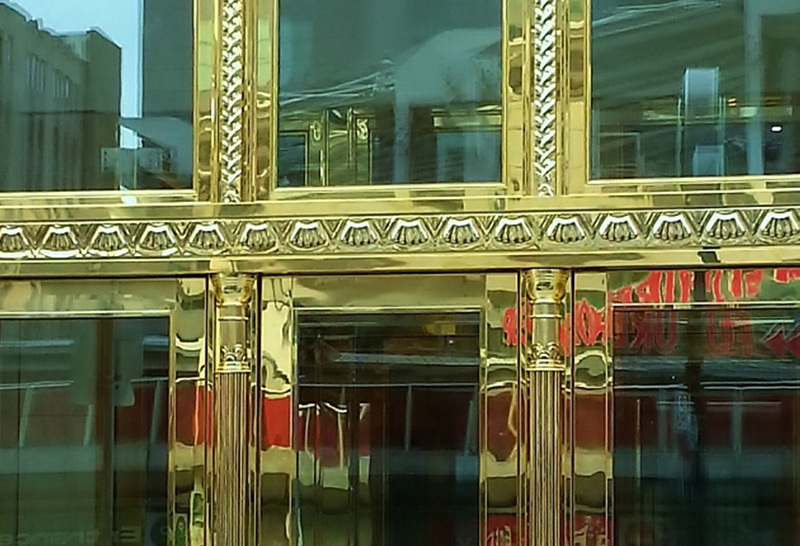 However, our team was able to recreate the pressed bronze ornamental components for these beautiful doors using press dies made from hand carved castings. 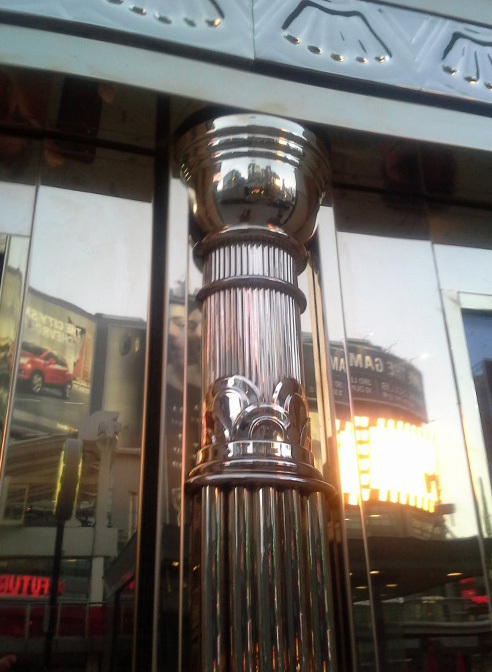 The entire project took close to one year from the time we were awarded the project to its completion. 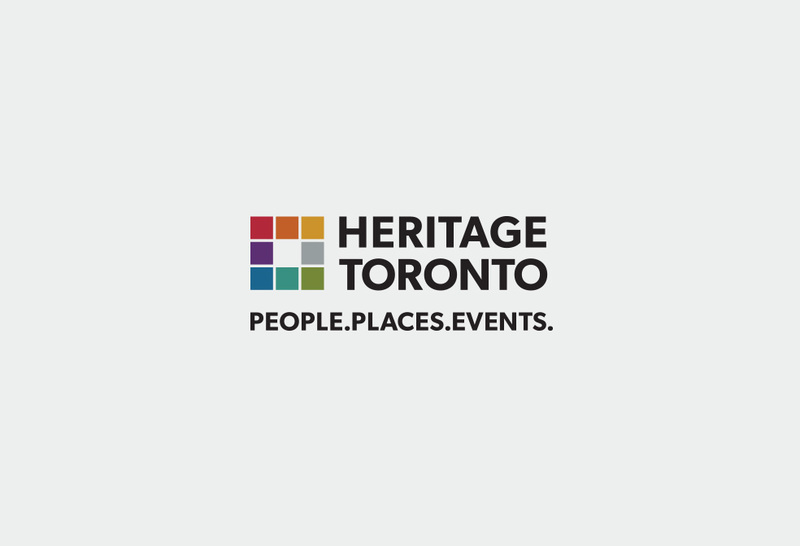 ERA Architects was awarded the Heritage Toronto 2015 Award for this restoration project, while Heather & Little was named for Excellence in Craftsmanship. For more information on this metal clad doors project, view the images below, or get in touch with Heather & Little today!